Whether 15 or 50 guests, host a spectacular party in our private dining room. Consult with Head Chef Gary Jones to conjure a gastronomic menu that celebrates seasonal homegrown produce. Overlooking the 15th-century manor, our conservatory enjoys a private entrance and ample outdoor space—one of Oxford’s most lavish of small party venues. Michelin-starred menus. Sumptuous interiors. Expansive walled gardens. With the help of our passionate team, we'll help you create a night of otherworldly fun. Host an alfresco reception beside our conservatory, or lead guests through orchards for a blessing in the gardens. Be it a wintry affair by a roaring fire or a midsummer night’s dream, small party venues at Belmond Le Manoir aux Quat’Saisons conjure a certain romance that’s impossible to resist. Start your next chapter together with an indulgent retreat at our country house. Our staff ensures your entire stay will be spellbinding. Rise early to stroll the hotel’s dewy lawns before savouring a champagne breakfast in your honeymoon suite. Take a cooking class together with our head chef, or have our sommelier walk you through the expansive wine cellar. 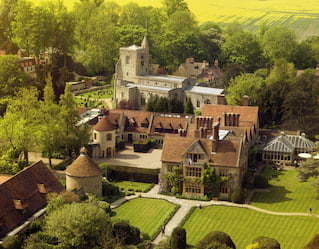 Dazzle clients and colleagues with a gastronomic getaway to Belmond Le Manoir aux Quat’Saisons. La Belle Époque wing provides a beautiful, flexible space for events accommodating 15-50 guests. Host productive meetings, sophisticated receptions or celebratory feasts. 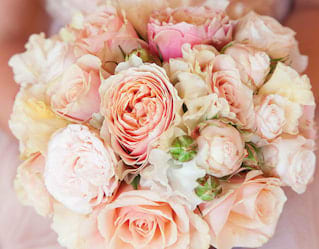 Our expert event planners will help bring your vision to life. For a moment, this elegant country retreat can be all yours. We'll start your party with a delicious afternoon tea before a garden tour and wine tasting with our Head Sommelier. Pamper in elegantly furnished rooms and suites. A champagne reception sets the tone for a sublime nine-course Michelin-starred tasting menu, culminating in a night cap in the lounge. At the heart of the hotel, our dining room sets the scene for a showstopping celebration. 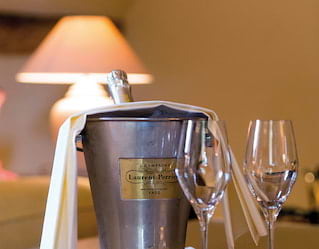 Begin with a champagne welcome in the Provençal-style reception room or the secluded walled garden. Alternatively embrace the alfresco atmosphere of La Belle Époque Conservatory, with the option of heading outside for post-dinner drinks under the stars. 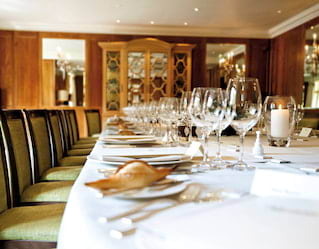 Impress friends, family or colleagues with the best private dining Oxford has to offer. Begin with a wine tasting tour through our acclaimed cellars. 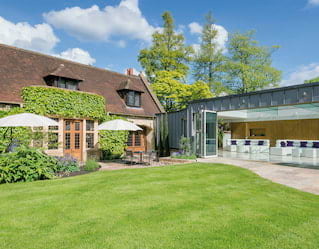 Then, champagne and canapés welcome you to The Raymond Blanc Cookery School for an expert demonstration. Finally, enjoy a four-course dinner with accompanying wines, coffee and petits fours.